First things first, you need a Provisional License. KEEP IT SAFE - you need it! 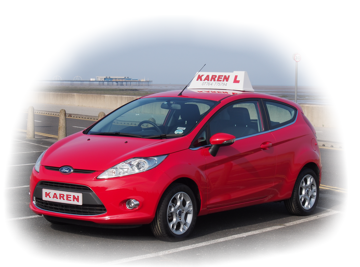 Studying for the Theory Test can be done as early as you like. The latest Highway Code, find it in most supermarkets or WHSmith, £2.99 approx. The Official DSA Guide To Driving - The Essential Skills book, £12 approx. Driving Test Success CD - great for mock tests and Hazard Perception videos, £5-10 approx, look on Amazon, ebay, etc.